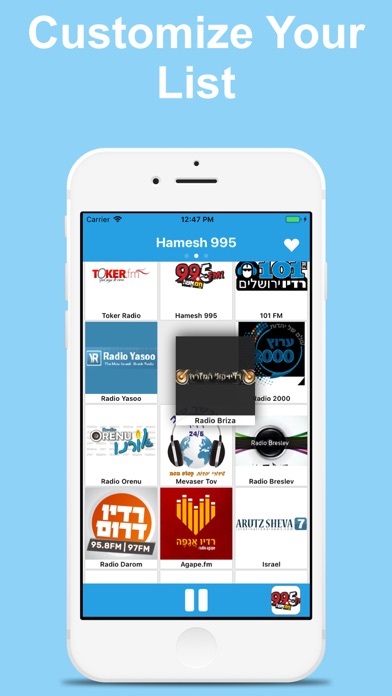 Your favorite Israeli radio stations in one radio application! News, music, sport and much more! 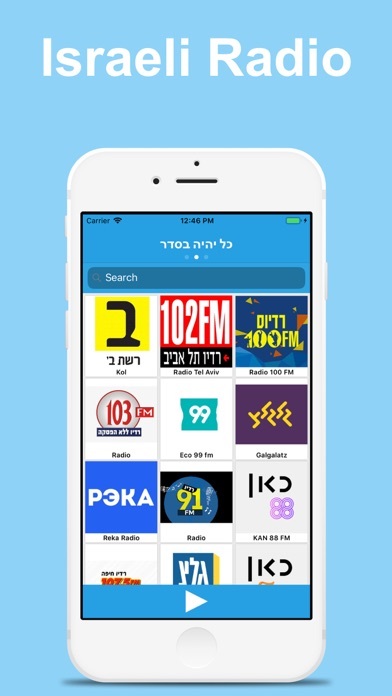 Our radio app offers you exposure to the best radio stations in Israel. Download today to listen to a variety of stations anywhere and in any situation All these stations come in a simple and fast player. Our audio player is optimized for the best quality and works even on a slow connection. 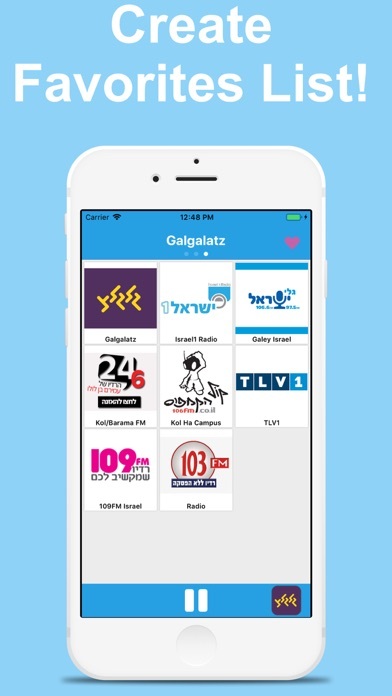 We designed our app with an emphasis on a high user experience that offers quick access to the best stations, just select a station and the broadcast begins. Perfect anywhere and in any situation. Our lives are unfathomable without radio. We listen to it in our cars, at home or on the beach - we made this app specifically for that purpose, to simplify your access to radio. Features: - Widget support - to display and select favorite stations directly from the iPhone screen. - Customizable ordering of stations, simply drag and drop the tiles. 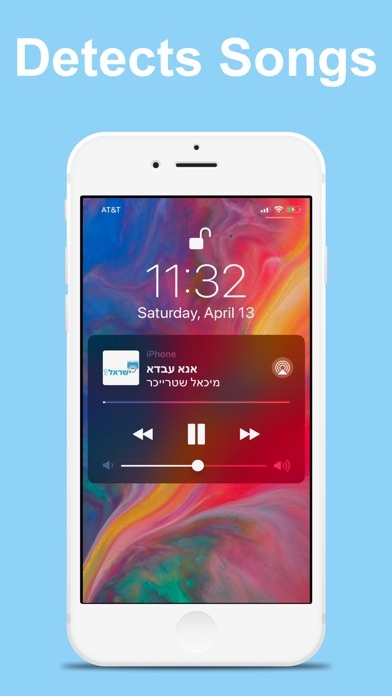 - Save favorite radio stations in the personal favorites list - Support for AirPlay - transmission to devices We have over 40 radio stations and keep adding more! Simply choose a radio station and enjoy your favorite tunes! All our stations are live and our application is free to use. If you enjoy our app, please leave a review! Your input is very important to us. We always listen to our users and make our app even better.